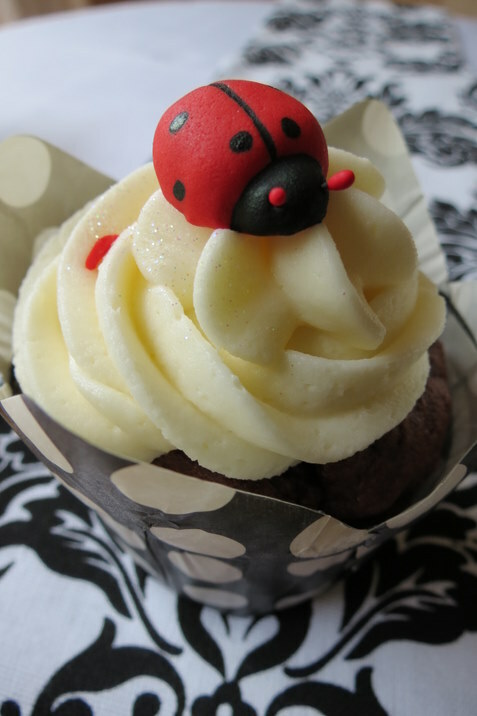 I couldn’t resist these tiny sugar paste ladybirds from Jodees for cupcakes I made for Paige’s birthday celebration with her friends. Small elegant ladybirds were perfect for a petite young lady. Hope you had fun Paige! 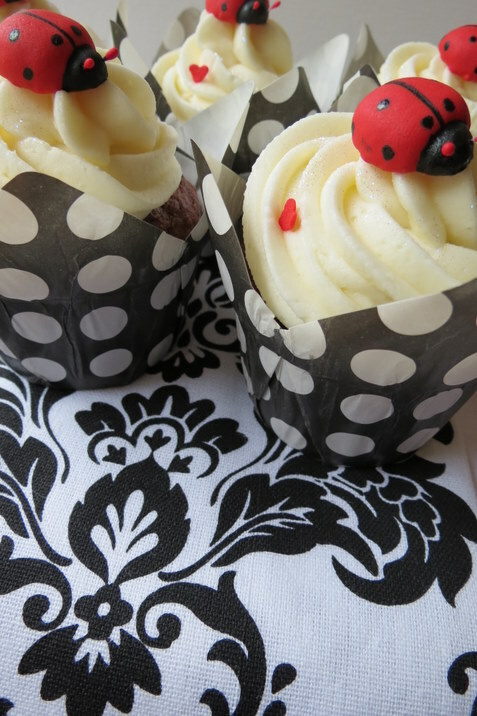 I photographed these cupcakes on my new tea-towel from Gina, thanks Gina for the cool birthday gifts! Thanks Wendy, Gina was so clever putting together a gorgeous array of gifts I can use for my photographs, everyone knows me so well! She is most welcome, and hope her friends enjoyed the cute cupcakes! So glad you liked the tea towel – however, your gorgeous cupcakes completely steal the show!! Thanks so much Gina! Great that you can follow my blog more easily now!